Monmouth County's prosecutor said it's "the most brutal case I've ever seen"
The brother of a man found dead along with his wife and young children inside a burning New Jersey mansion has been charged with murder in their deaths, a quadruple homicide allegedly orchestrated over money, officials said Thursday. 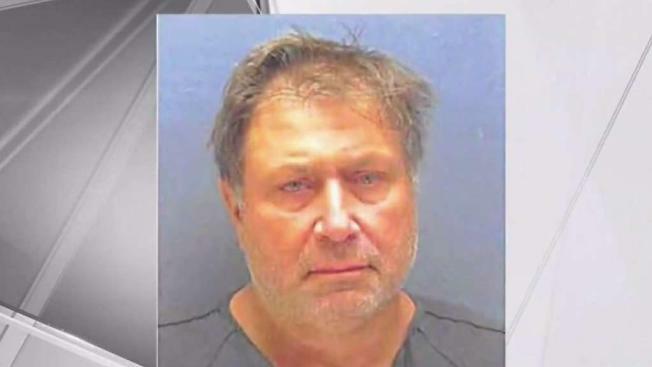 Paul Caneiro, 51, is charged with four counts of murder in the deaths of his brother Keith Caneiro, his wife Jennifer and their two kids, Jesse and Sophia. He is also charged with aggravated arson, possession of a firearm and possession of a weapon for unlawful purpose, according to court records. Paul and Keith Caneiro were the principals in two businesses, a computer systems company called Square One and a pest control business, both housed above a trendy cafe in Asbury Park. Prosecutors said Thursday the motive appears to be "financial in nature." Keith Caneiro had some upcoming job interviews planned after getting his master's degree this year, according to Brian Bott, who owns a fitness studio where he worked out. Bott did not know whether he planned to keep working with his brother if he got a new job. Keith Caneiro, he said, was "a super busy guy," but if he ever mentioned any work stress, it was "nothing relative to something like this." Paul Caneiro was already under arrest on a charge he set fire to his own home 10 miles away in Ocean Township while his wife and two daughters were inside. The second fire was a ruse intended to make it appear the extended family was a target, the prosecutor said. There was no evidence he intended to kill his own family, he said. They escaped without injury. Paul Caneiro has been in custody since authorities accused him of setting fire to his own Ocean Township home on Nov. 20, hours before flames were discovered at the Colts Neck mansion where Keith Caneiro and his family lived. Keith Caneiro was found shot multiple times outside the home. His wife was shot and stabbed and his two kids were stabbed repeatedly, a criminal complaint says. The complaint says both a gun and a knife were seized from Paul Caneiro. Officials have said the whole family was killed before the fire, which they say was set in the basement and smoldered for hours. Paul Caneiro has an initial court appearance scheduled for Friday. His lawyers Robert A. Honecker and Mitchell J. Ansell said in a statement Thursday that their client has maintained his innocence since his arrest and continues to do so. "Paul's family means more to him than anything else in the world," the statement said. "Paul's brother Keith and his family similarly were everything to Paul. He worked with his brother Keith for 31 years and he loved his sister-in-law as if she was his sister. Paul Caneiro always participated in the lives of Jesse and Sophia from watching them at their various events at school and spending time with them frequently. Paul Caneiro just couldn't say no to his family." "There is absolutely no reason in the world for Paul Caneiro to have committed the crimes he is alleged to have committed," the statement continued. "He would never hurt any member of his family. The process today can begin for a search for the truth and who committed these horrendous acts." Honecker and Ansell said their client expects to be "completely vindicated and the truth will come out." Investigators found no evidence of anyone else being involved in the crime, he said. The fire in Paul Caneiro's home was reported at 5 a.m. But prosecutors allege the Colts Neck fire was set before that, even though the mansion blaze was not reported until about 12:30 p.m. The prosecutor said the mansion fire smoldered in the basement for hours before being discovered. "It's not lost upon us how troubling and confusing this incident has been to you and how unusual these circumstances are as alleged," Gramiccioni added. "We won't stop until we bring justice in the name of Keith Caneiro and his entire family." Obituaries describe Keith Caneiro's children as 11-year-old Jesse, who liked World War I and II history, video games and sports, and 8-year-old Sophia, who loved ice skating, ninja classes and making cookies with her nanny. Funeral services for the family are planned Sunday. Keith Caneiro had become a morning fixture at Aspire Fitness for the past four years, known for joking with other clients and talking about pizza, veal and other favorite foods. A video Bott posted online shows him doing push-ups with his young daughter Sophia on his back. Paul Caneiro's wife and adult daughters are also members, but Paul Caneiro, who was in a serious car accident a few years ago, was not. Bott believed he's had some mobility issues since the crash. If convicted of murder, Paul Caneiro faces a maximum sentence of life imprisonment for each count.